How to preview the fields that have been filled rather than the entire form? Please try the widget's settings. 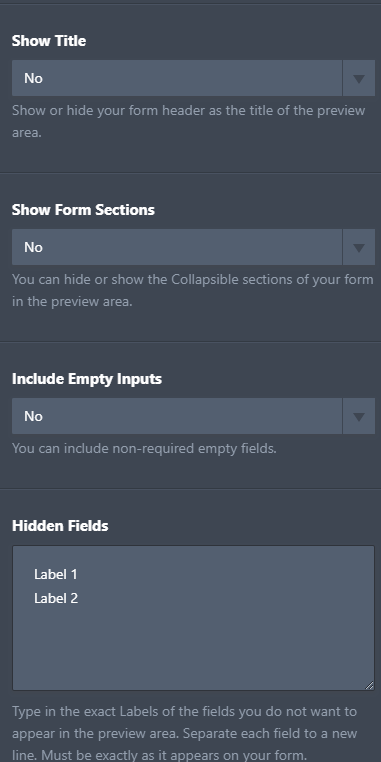 It allows you to hide empty fields and even allows you to hide the exact field label. I hope that helps. Let us know if you have any questions or if you need further assistance.